Director Takashi Miike (Audition / Ichi The Killer) knocks another one out the park with this twisted tale of horror. 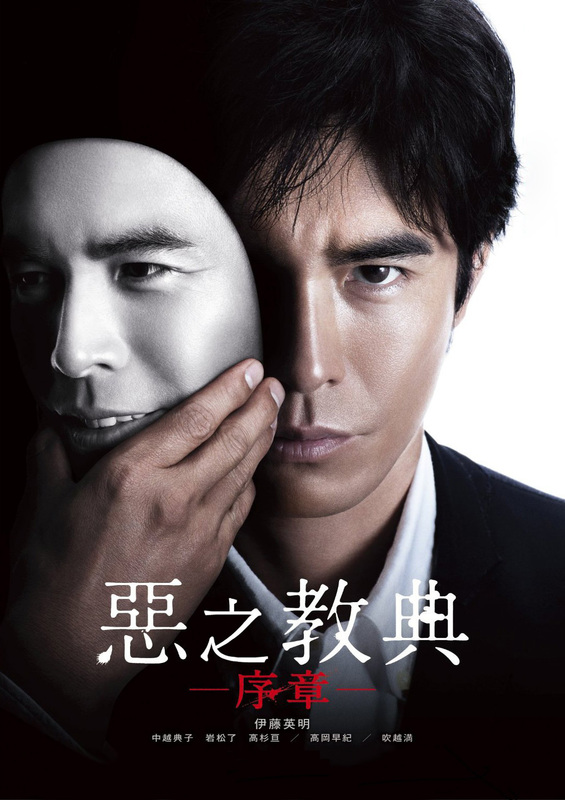 Popular school teacher Hasumi, portrayed excellently by Hideaki Itô, is smart, handsome, and deranged. He orchestrates a twisted plan to kill, well, everyone, and get away with it. And that's basically the plot of the film. The movie starts with a fourteen year old boy murdering his parents. It's presented in a similar fashion to the beginning of Carpenter's Halloween, with the exception that you don't know what happened to the boy afterwards. It quickly transpires that the boy was Hasumi. Cut to present day, and Hasumi works as a language teacher at a school (even research after watching didn't present me with the name of the school), where things are rather...off. Most notably, student-teacher "relations" are somewhat prevalent, there is a vein of bullying, and cheating in exams is common place. The first 60 minutes of the 129 minute run time is given to Hasumi starting off as the students friend, and slowly becoming more and more intense and creepy. Flashbacks show us that in his time in the US he was killing there, too. Working with another man who was killing for fun, Hasumi finds himself distanced from his fellow killer, proclaiming himself as "not the same". Then, around the halfway mark, things get dark. Hasumi goes on a killing spree with the school. It's hard to watch. 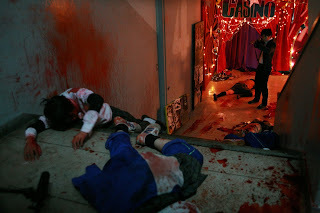 Miike is no stranger to gut churning horror (*cough* Audition), but the massacre in the school, directed so masterfully, brings only thoughts of real-life similar instances. And Hasumi's plan is pretty flaw-less. Going into the movie cold the issue is that for the first hour the film feeds a little backstory, and some disturbing behavior at the school, but little in the way of horror. I might have given up on it, if the acting wasn't so solid. When the movie goes dark, it ramps up to unbearable in places, and is terrifying. Given the pace of the first hour, if you don't like subtitles (!) you may struggle with this, but it is worth holding on, for one of the most effectual horror movies in many a year. It would have made my Hallowed Wednesday's Halloween Recommendations this year, had I seen it earlier. One to seek out and see.